Protection in Canada and the U.S.A.
Vector Construction is a local concrete preservation contractor with a global presence. With over 50 years of industry experience, our innovative, cost-effective concrete repair and cathodic protection technologies are developed and installed by dedicated professionals who adhere to the highest standards of safety and service. Vector’s concrete preservation specialists receive extensive training and are committed to solving your unique structural and corrosion challenges. We build long-term relationships with our clients in North America and abroad by delivering innovative solutions that extend the life of structures. Preservation of infrastructure is a sustainable activity that mitigates pollution, reduces solid waste and conserves natural resources. It is frequently more economical than demolition and reconstruction and can also reduce downtime, loss of revenue, and business disruption. 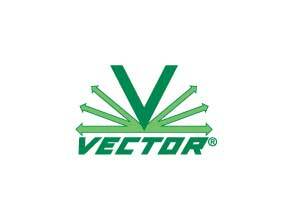 Vector has a longstanding commitment to sustainable construction, providing solutions for durable concrete structures. 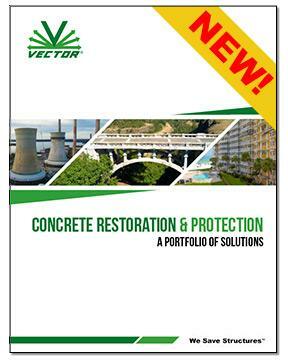 Contact Vector Construction for all your Concrete Restoration and Protection needs. Construction doesn’t stop when winter weather strikes, so it’s important to know what steps to take to keep your workers warm and safe. 2019 Seminars - Register Now! 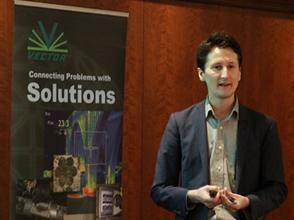 The Vector 2019 Concrete Repair and Protection Tour is coming to a city near you!